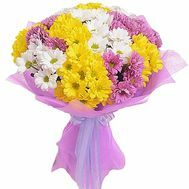 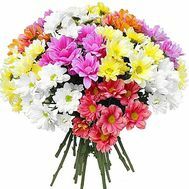 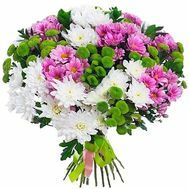 Bouquet from chrysanthemums is an original gift both for women, and for men. 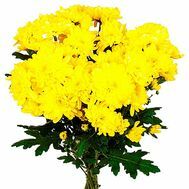 Chrysanthemum created around itself a lot of charm and mystery. 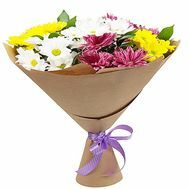 These large flowers with large petals are conspicuous and cause a great variety of very diverse feelings. 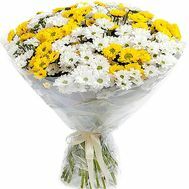 A bouquet of chrysanthemums can both impress and make the recipient happy. 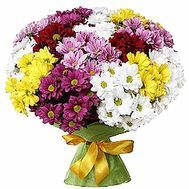 To date, there are about 150 varieties of this flower in the world, and so everyone can choose a gift for themselves. 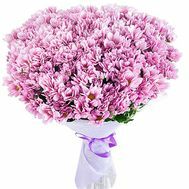 This flower is ideal for making bouquets and various gifts in the form of flower toys and cakes, and therefore enjoys a frenzied popularity. 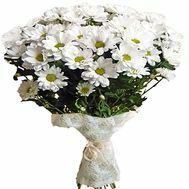 To order a bouquet of chrysanthemums is easy: just leave an application on our website and within a few hours our couriers will be able to deliver the bouquet to the desired threshold. 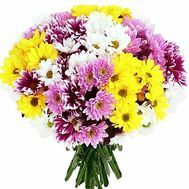 What does a bouquet with chrysanthemums mean. 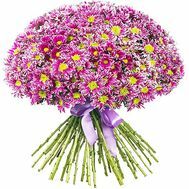 To whom to present a bouquet? 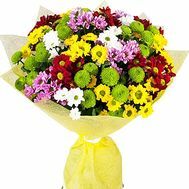 A bouquet of chrysanthemum flowers is a thoughtful and extremely symbolic gift. 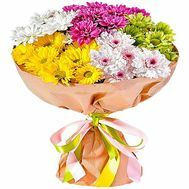 It is known that it appeared many decades ago, already impressing with its beauty. 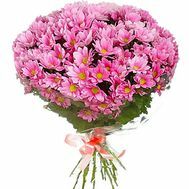 The first value of this flower was the power: only the emperor and people closest to the power could wear clothes with embroidered on her chrysanthemum. 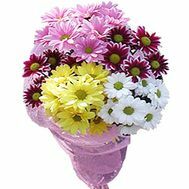 Mini-bouquets from this flower became popular much later, when the use of its other meaning - joy - came into use. 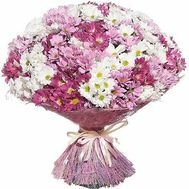 A bouquet of these flowers in the form in which we see it now appeared only two centuries ago. 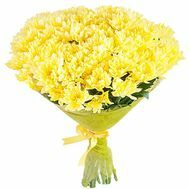 Now it is impossible to tear them away, it is so different, this chrysanthemum! 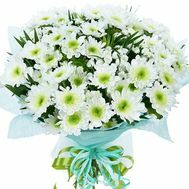 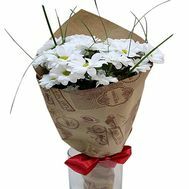 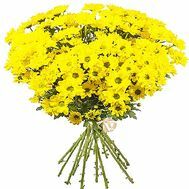 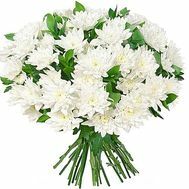 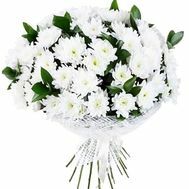 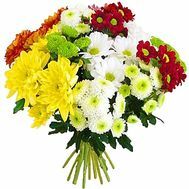 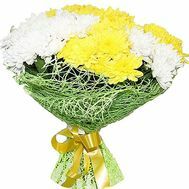 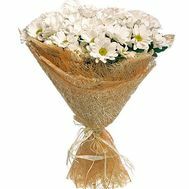 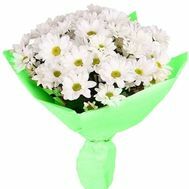 A small bouquet of chrysanthemums: it will be an excellent and extremely modest gift for any celebration. 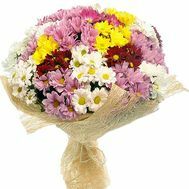 And to this day the best and most impressive gift is considered to be the bouquet of chrysanthemums. 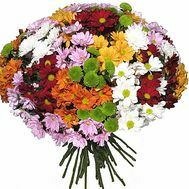 The price for it in our store is very democratic, which will allow you to choose any of the presented varieties and options. 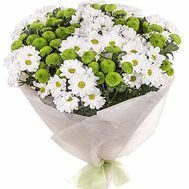 But before buying chrysanthemum, it's worth knowing who it's best to give and listen to the advice of the florist. 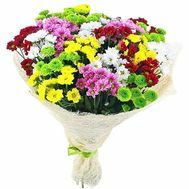 You can buy a big bouquet for your wife on your wedding anniversary. 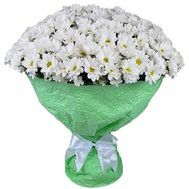 Especially if you choose a large and spherical chrysanthemum, which will perfectly decorate your bedroom. 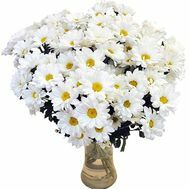 It is also recommended to buy a bouquet of chrysanthemums and your grandmother on the Jubilee: this excellent gift will surely impress her to the depth of her soul. 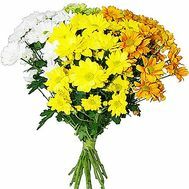 Also, these flowers are great for corporate reasons for bosses or your colleagues of any gender. 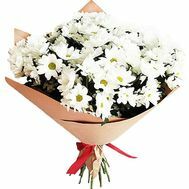 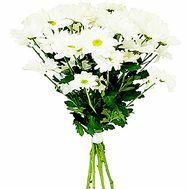 Order a large bouquet of chrysanthemums with delivery, and already today you are guaranteed to make someone's day a bit better and happier! 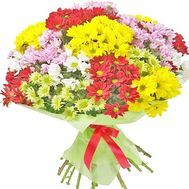 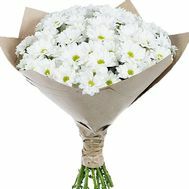 In our online store you can buy a bouquet with delivery absolutely inexpensively and at the most moderate prices. 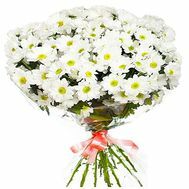 We provide a huge assortment of the freshest and most beautiful flowers in Ukraine. 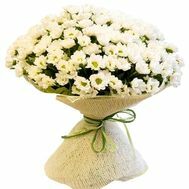 To buy from us is pleasant and easy, because in our store there are often held various actions, and regular customers receive large discounts for each purchase. 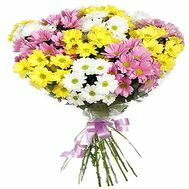 In addition, our delivery service is considered one of the fastest and fastest in Ukraine. 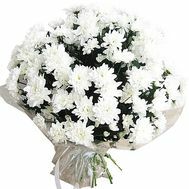 We carry out delivery of flowers all over Ukraine, not only to large cities, but also to small villages too. 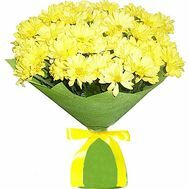 Thanks to such an accurate delivery, to make a surprise or purchase. 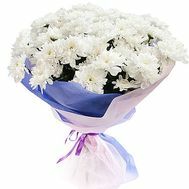 Also we offer free delivery in any regional center or in any large city. 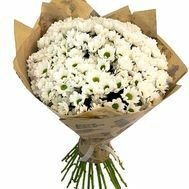 You can read the responses about our delivery of flowers and the work of our store in the corresponding section on the site. 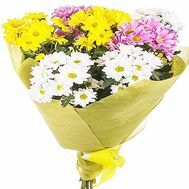 Buy flowers in our online store, and we are guaranteed to deliver a luxurious gift on time!